Looking for a Resto Shaman and or a Priest! Updated! 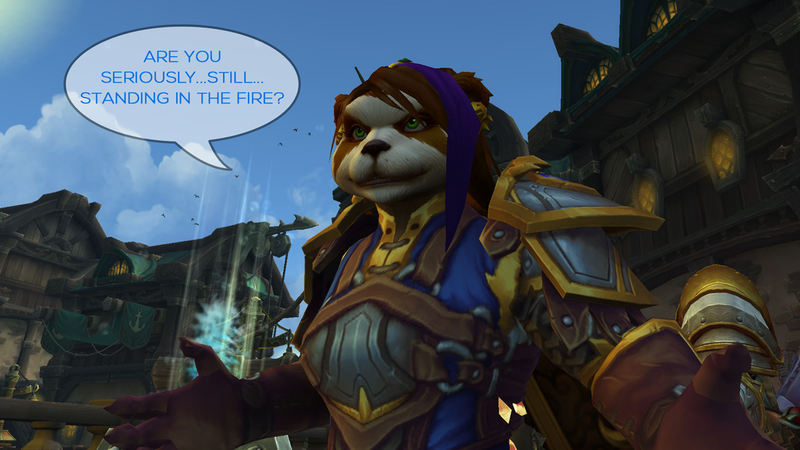 Are you a Resto Shaman looking for a new home? We are also looking for a Priest who can play both Discipline and Holy (as the fights require). Have you raided mythic? If not mythic – have you raided heroic and found yourself wanting a greater challenge? Do the pictures speak to you on a soul level? We will consider a Mistweaver Monk, but cannot currently take druids or paladins on trial. We are an English speaking guild on Emerald Dream-Terenas that has been around for 13+ years. We have a pleasant, open atmosphere that many are surprised by when they first join, and stay because they enjoy it. a) Some mythic experience, or at least a willingness to experience mythic, and to have a mature outlook on ‘wipe nights’. b) Have a ‘can-do’ attitude. (Be willing to contribute to the guild bank when we need herbs/fish etc so that we can provide raid feasts. A small contribution from many – allows us to provide better perks for everyone). c) Focus. We only progress raid 2x a week, so attendance is important. We understand IRL is a thing, and we run a large enough roster to ensure that raids continue when people are away, but please be willing to show commitment and show up on time so that we can continue our good progression. 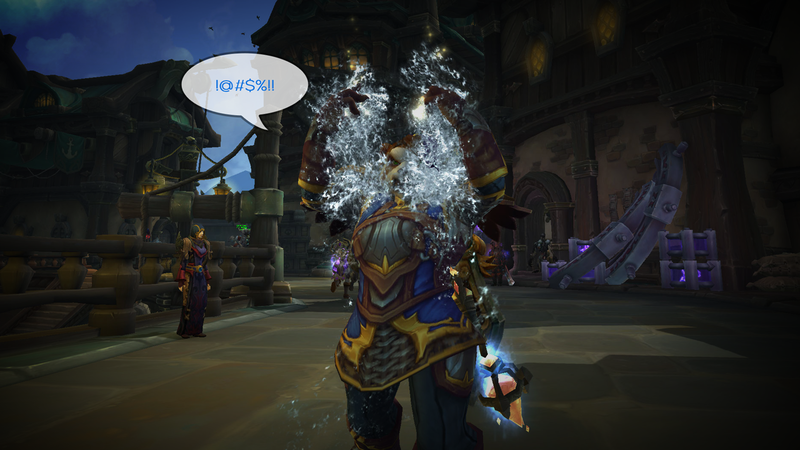 b) People who are only login to raid with a guild – we are a great community! We have many fun social raids and other activities, so please don’t be a stranger. Our members age range is 22 to 40+ with some having played since Vanilla and others having joined the game as recently as Cataclysm and beyond, you’ll soon find out who’s played since Vanilla, since they’d be happy to tell you. We are a mixture of Dutch, Swedish, Danish, English, Finnish, Belgian, Swiss and there’s even a German who refuses to play on German servers, because reasons. Occasionally he can be persuaded to call out raid warnings in German, which results in much hilarity…especially on Kingaroth…LASERSTRAHL! ACHTUNG! We use English to communicate, because the English are lazy and most only know one language – and that’s about as harsh a joke as you will hear on our voice comms, for which we use Discord. Healers with sufficient gear (Heroic Uldir) are welcome to contact me for more info regarding a trial, or if you are just returning to the game, and are intending to raid, but would like to join somewhere with kind, non-elitist members (ok, so we have one elitist, but don’t mind him, he’s harmless), as a social, please contact me as well. Trials last 2-3 weeks tops, and if you aren’t cut out for Mythic raiding, you are always more than welcome to stay on a social basis and join Mythic +, and work on your skills. Our players are happy to help with advice for people who are unsure of the current meta builds etc. Our current progress is 5/8 Uldir Mythic, Current Server Rank 2nd. We are currently the only Top 3 Guild on the server that only raids 2x a week. We provide raid feasts, flask cauldrons and are able to help with enchants and gems where needed, all we ask in return is that you are a reliable adult (21+) who enjoys raiding, and isn’t a megalomanical loot ho. We use RCLootcouncil and where tradeable, loot is distributed in a fair and equitable manner – Loot council members are rotated weekly to ensure fairness. To date, I have yet to witness an argument over loot – clearly our system works well and everyone benefits. To see more of our guild’s activity, please visit our website (mythicraiding.com) and either use the contact page there, or add me in-game if you would like further information about the guild. Artenesse#2124 You can also type /who Exiles if you are on ED/Terenas, and ask if there is an officer online.